Fireman Rob is a dynamic storyteller with a unique, iconic story that brings your audience to life. 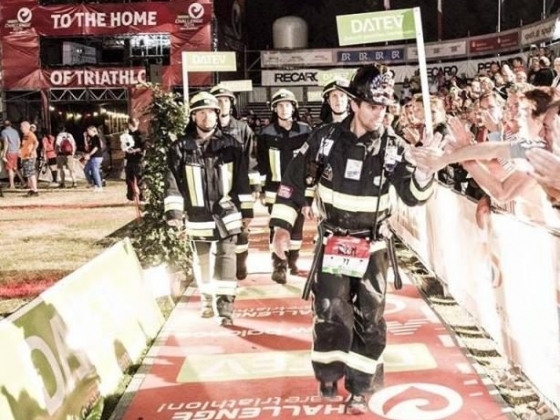 He continues inspiring the global community through his work as Fireman Rob, where he speaks, delivers trainings, competes in Ironman races in 50 lbs. 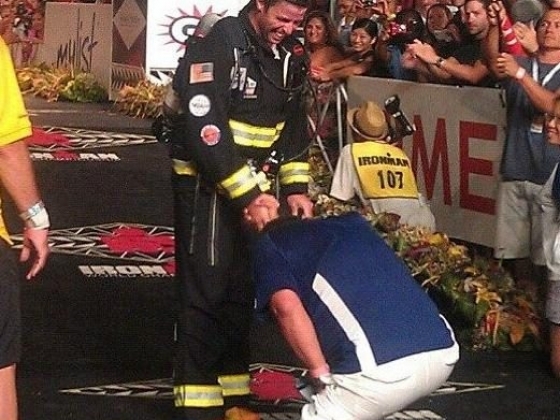 of firefighter gear, breaks World Records, and delivers bears to children in hospitals throughout the globe. As an impact leader and in demand speaker/trainer, Fireman Rob impacts lives throughout the world through truly living and emphatically believing that there are no challenges or fears that cannot be overcome with the power of purpose and a strong mindset. His clients range from Fortune companies to community groups to colleges with notables including 3M, US Bank, Southwest Airlines, ATF, Timex, USA Triathlon and Kraft. It is the stories that connect Fireman Rob to the audience, allowing for a unique, genuine, and down-to-earth presentation. Driven by a desire to impact positive action in lives, “Fireman Rob” delivers an engaging presentation built on overcoming adversity, validated under fire, and challenges each person to discover their purpose. His approach to purpose driven success pushes the uncomfortable, unknown limits of you and reveals simple, effective strategies that anyone can use to build mental strength, lead an “action based” lifestyle and become a better leader. 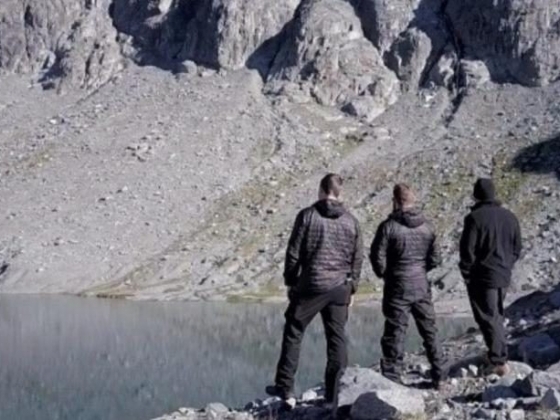 He is a normal guy with an extraordinary ability to push the envelope of what is possible, and then relate it to others to do it in their own lives. 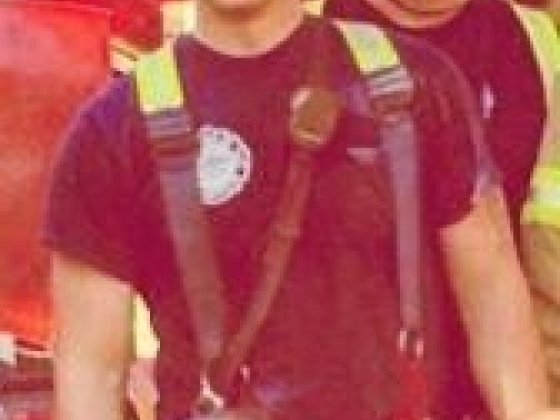 Fireman Rob’s Accomplishments: 	Selected member of The National Society of Leadership and Success (Sigma Alpha Pi) 	In Business Magazine, 2014 Top 25 Most Influential People in Dane County 	Jefferson Award Winner, April 2015 WKOW 	Ironman, 2012 Performance of the Year 	Guinness World Record, Most Ironman 70.3 triathlons in one year (23) 	2015 Globe Turnout Feets of Strength (Athleticism category) 	World Record for Most Ironman triathlons in Full Firefighter Gear (18) 	World Record for Most Half Ironman Triathlons in Full Firefighter Gear (28) 	2015 Triathlon Magazine “Best Record-Breaking Performance of the Year” 	2012 HITS Triathlon Athlete of the Year SPEAKING: Keynote – Forged In The Fires to Live Keynote – Forged In The Fires to Lead Fireman Rob is a dynamic storyteller with such a unique, iconic story that brings your audience to life. From numerous years in the fire service to performing search and recovery after the September 11th attack on the World Trade Center in New York, the impact of his message resonates with everyone. 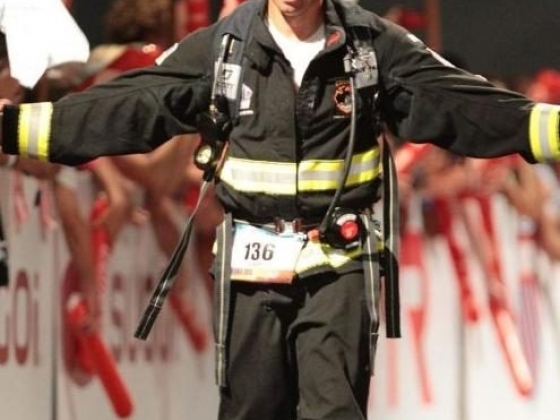 He has been inspiring the global community through his work as Fireman Rob where he has spoken and competed in Ironman races in 50 lbs of firefighter gear, broken World Records, and delivered bears to children in hospitals throughout the globe. As an impact leader and in demand speaker, Fireman Rob’s presentations have taken him throughout the world impacting groups of over 3,000 people at events to intimate small groups, as well. 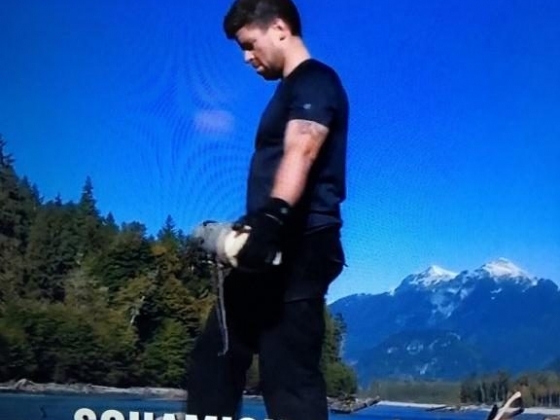 Fireman Rob truly lives and emphatically believes that there are no challenges or fears that cannot be overcome with the power of purpose and a strong mindset. 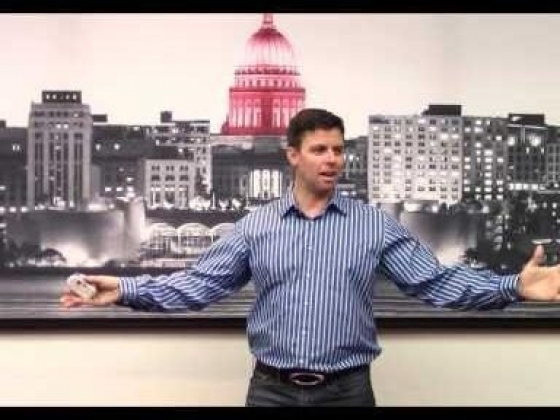 If you want to ignite the fires in your group or at your next event, Fireman Rob has the energy, experience and real life message to make that happen. He is a normal guy with an extraordinary ability to push the envelope of what is possible, then relate it to others to do it in their own lives. Through his life experiences, Fireman Rob has forged in the fires a process to develop an elite mentally tough mindset to achieve results in life & business. COURSES: Course – Leadership to Run into The Fires Course – Ignite Your Mental Performance & Critical Thinking Course – Peak Performance: First In & Last Out Course – Teamwork: Two In, Two Out When In The Fires Fireman's Rob professional training programs are customized to the needs of the programs, conference or group. His dynamic storytelling, extensive experiences, and functional, proven content, can relate to the impact needed in the workshop, breakout or training session. He works with the individuals running the event to create the most cohesive program to the theme and needs, then he adds the Forged In The Fires touch that makes it unique and will impact your audience. Along with the customized courses, Fireman Rob also has 4 dynamic courses, that he will also do research to make it relate to the current state of a business or a group. 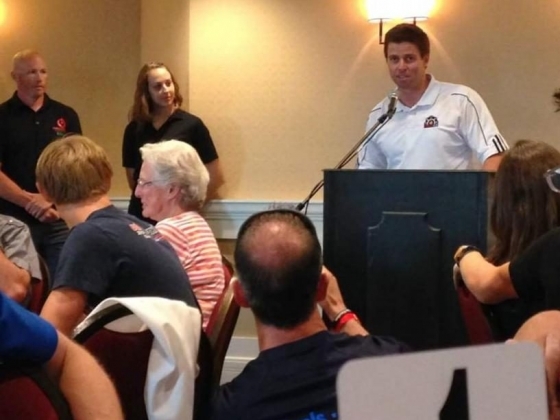 "Fireman Rob was the keynote for the 3M and Scott Safety merger conference. His powerful stories, along with impact driven message of strength through leadership, communication and purpose, truly started our conference on a positive step. He has truly lived his message and we felt it through his keynote." "Rob's talk was fantastic. Before he even said a word, you could see the passion that lives inside this guy. His talk on leadership was motivating and really did add the value of our meeting. I'd bring him on for my next meeting in a second." This world desperately needs more people like him! "I gain inspiration from Robert's accomplishments and sacrifices for others. Anyone who spends even 10 minutes with Rob knows how engaging his story is. This world desperately needs more people like him!"